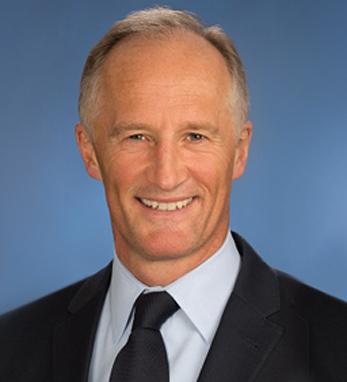 Adrian Jones/Goldman, Sachs & Co.
Adrian Jones is a managing director in the Merchant Banking Division of Goldman Sachs in New York, where he focuses on investing in the healthcare sector. He is also a member of the Corporate Investment Committee and serves as co-sponsor of the firm-wide Disability Interest Forum. He joined Goldman in 1994 and became a partner in 2004. Following his cadetship at the Irish Military College, Adrian, a Roscommon native, was commissioned as a lieutenant in the Irish Army in 1983. From 1987 to 1988, he served in the United Nations Peacekeeping Force in Southern Lebanon. After moving to the United States in 1989, he worked for two years at the Bank of Boston in Credit Derivatives. Adrian is a graduate of NUI Galway (B.A. ), UCD (M.A.) and Harvard (M.B.A.). In addition to representing GS Capital Partners on a number of corporate boards, Adrian serves on the boards of Autism Speaks, the American Ireland Fund, and the Galway University Foundation. In 2012, he was the Wall Street 50 keynote speaker. He resides in Ridgewood, New Jersey, with his wife, Christina, and sons Danny and Liam.